A descendent of the Meriam people from the Torres Strait, Kerry Arabena has a Doctorate in Human Ecology and a degree in Social Work. Professor Arabena is the Executive Director and Lead Investigator on the First 1000 Days Australia, an intervention based pre-birth multigenerational cohort study designed with and for Aboriginal and Torres Strait Islander families. The model aims to provide a coordinated, comprehensive strategy to strengthen Aboriginal and Torres Strait Islander families, so they can address their children’s needs from pre‐conception to two years of age, thereby laying the best foundation for their future health and wellbeing. Professor Arabena is currently President of the International Association of Ecology and Health and has an extensive background in public health, administration, community development and research, her work has made significant contributions in areas such as sexual and reproductive health, family violence, gender issues, access and equity, service provision, and harm minimisation. 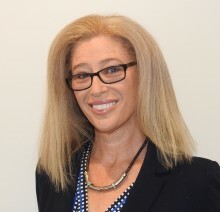 Professor Arabena is currently a member of the Aboriginal Economic Board in Victoria, OzChild, Indigenous Community Volunteers, Kinnaway Aboriginal Chamber of Commerce and the Victorian Aboriginal Economic Board of Development. She is an author and business owner, a mother and a grandmother with interests in achieving equity for all Australians.